Everyone, perhaps, thinks about what goes through the mind of the jumper as he falls. We laugh about how if it’s too far down, you have to take a breath to continue screaming before you hit. I on the other hand became enamored with the moment that the jumper’s center of gravity moves over the water, and the inevitable plunge begins. That moment, when your heart skips a beat, and your stomach tenses, and you think “Here we go!” It’s not the moment of total commitment. No, it’s the moment just after that. Did they intend to go just then, or were they just trying to get up the nerve when they slipped? More disturbingly, do they change their mind on the way down? Of the people that survive the fall (and a rare few do), many do. The New Yorker had an interview with one survivor, Kevin Hines, who jumped, changed his mind, hit feet first, and then survived in September 2000. 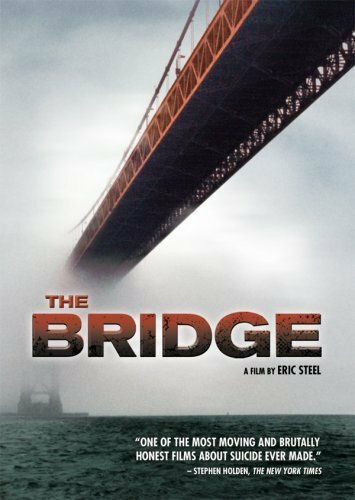 In 2005, film maker Eric Steel, created his controversial movie, The Bridge, which captures the fatal plunge of most of the 19 jumpers in 2004. I haven’t seen it. Then finally, we get to the granddaddy of all articles. The SF Chronicle’s six-part series Lethal Beauty. 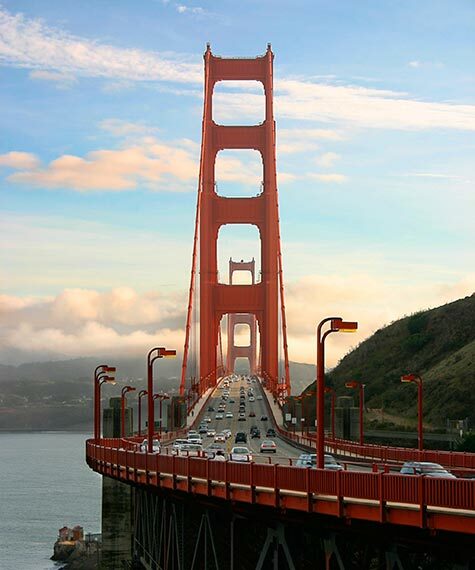 A tour de force of Golden Gate Bridge jumping. Interviews, maps of jump sites (Notice how they’re biased towards the east side, where you get the more scenic view, and more practically, the pedestrian walkway is located. Also notice how it’s skewed towards the SF side and away from Marin. Apparently people don’t want to bother to walk far to their final act. 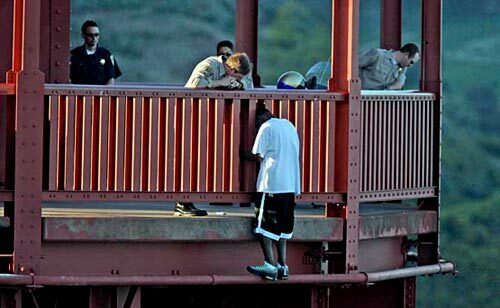 The bridge has been called, “the world’s top suicide magnet”. I am not surprised. It’s iconic, and accessible. Unlike jumping from the Empire State Building, or Taipei 101. What I do wonder about is how many people travel from outside the Bay Area simply to jump. Does anyone fly from the East Coast, simply to kill themselves? Maybe. 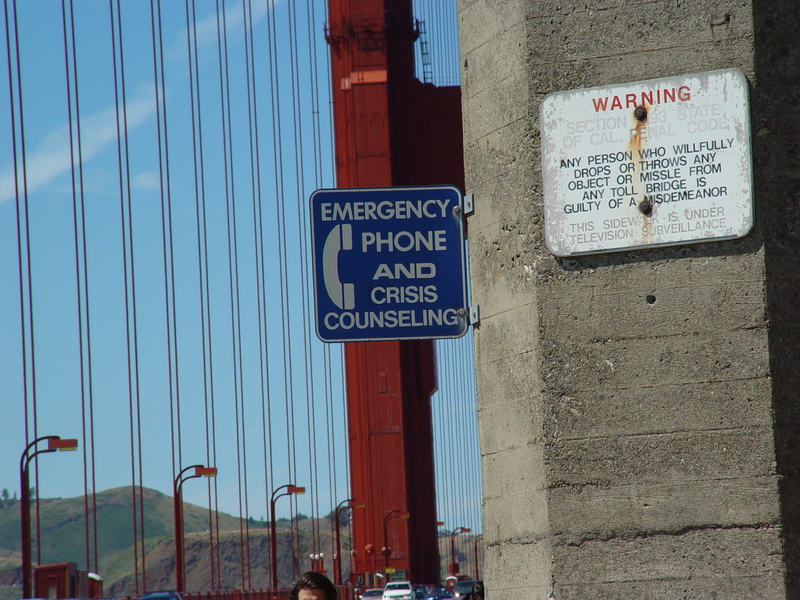 This entry was posted in architecture / furniture, other and tagged death, goldengatebridge, kevinhines, sanfrancisco on July 31, 2008 by jonathan.